Who would you be voting for? 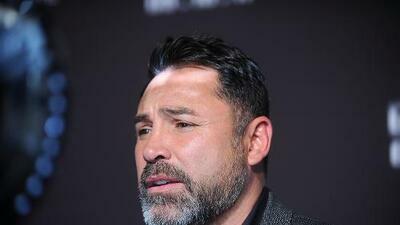 The boxing legend states that he is "very serious" about making a run for the 2020 presidential elections. In a statement, Oscar says: "I am actually very, very serious and I strongly feel that if a Kanye West can do it and announce and maybe tease the world that he would maybe one day wanna run for president, why not me?" The 45-year-old boxing promoter has no political background and will be taking a run as a Democrat in the 2020 elections. Oscar explained his spark to step in the political arena with this statement: "I've had literally, over the years, ever since I became a professional in boxing, I've had millions of people tell me, 'Look, why don't you represent? Why don't you stand up and have a bigger voice?' And obviously, the biggest voice you can have is being president." Currently there are more than 40 people concidering on taking on the role as the president of the United States.